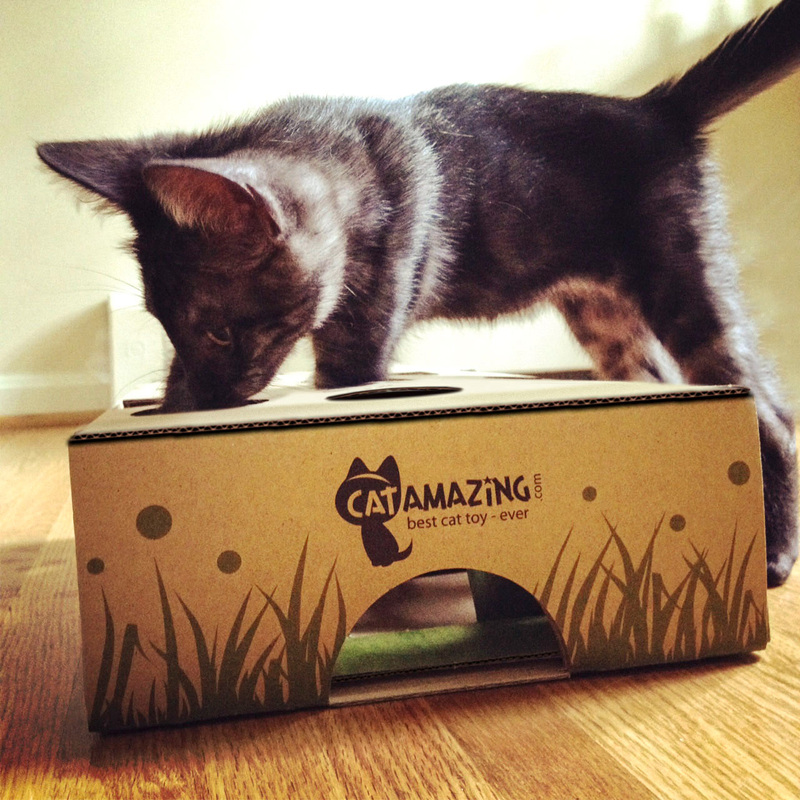 Cat Amazing boasts to be the best cat toy ever – easy to assemble, just add treats! Watch your cat learn, play and stay active with the Cat Amazing puzzle box. Your cat is sure to enjoy the challenge each section offers and this creative cardboard cat toy can keep your kitty occupied for hours. The Cat Amazing toy has three difficulty levels to challenge you cat Beginner, Intermediate and Advanced. There is also rumoured to be a secret expert level to unlock. The difficulty level is determined by the position of the openings where the treats come out. On the easier level the hole is at the bottom, then it moves to the side and finally to the top of the box for the most difficult level. Not sure how the expert level works, need to actually see the product to determine this. Cat Amazing was created by Mooky with the help of his trusty human lackey Andrey. We are hoping to be able to test this product in late spring! Cardboard made from 30% recycled materials and is 100% recyclable. Up to four levels of difficulty to challenge your cat. There is some sound science behind Cat Amazing’s colourful design, did you know that Purple, yellow, and green are the colours cats see best!